Classic Folios | What’s Next for PropTech? 2017 saw an explosion of technological innovation within the world of property, with numerous new products and services promising improved experiences and efficiencies for developers, homebuyers, landlords and residents alike. Homebuilders sought simple digital solutions to managing customer care and defects; homebuyers went online when choosing property; and homeowners kitted out their pads with automation apps for heating, lighting and other systems, smart meters for tracking utilities and gadgets like virtual reality headsets and voice-activated home assistants. 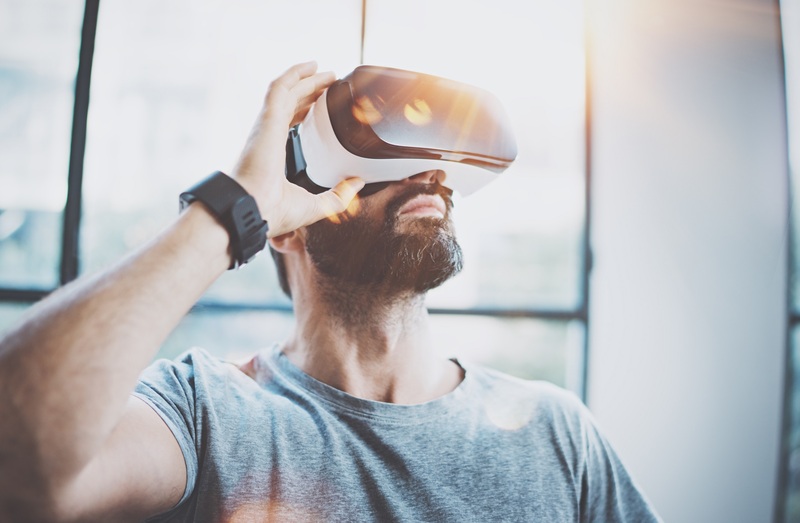 The increased affordability and acceptance of property technology, dubbed “proptech”, seems set to reshape the way properties are bought, sold and lived in, so developers are urged to stay digitally savvy to keep up with customers’ expectations in a changing world. Building visualisation apps have a huge potential during both construction and sales. Classic Folios’ innovative online portal, Hoozzi, already incorporates virtual home tours, giving purchasers an immersive, VR-compatible walkthrough that reduces buyer remorse and increases referrals. Classic Folios also goes one step further, offering to shoot bespoke instructive videos and tag them throughout the walkthrough, so users can click on an appliance or object, like a dishwasher or thermostat, to view a helpful ‘how to’ guide. There has been a lot of buzz regarding uses for blockchain technology within the property industry, with more firms expected to look at ways to harness decentralised cryptocurrency payments and automated smart contracts for greater efficiencies. Only time will tell whether the technology can overcome the hype and provide a solution that can be easily adopted and integrated by companies and end users alike. The potential for using machine learning and robotics within construction is there, and more affordable AI tech could help increase efficiencies and flag issues that may otherwise be missed. Construction companies are likely to continue investigating the use of drones, which offer new perspectives and enable safe and accurate inspections of hard to reach areas.